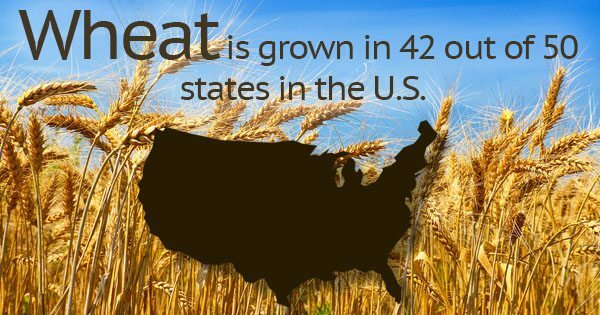 Wheat is grown in 42 out of 50 states in the U.S., and one acre can yield an average of around 40 bushels of grain. Those 40 bushels translate to about 372 U.S. gallons, and all of that wheat can easily accumulate into one massive harvest. However, like other grains, it needs to be stored appropriately. Agricultural storage buildings play a large role in long-term storage needs, but there are a lot of other factors besides the facilities themselves. Here are four tips for grain storage agricultural professionals to adhere to. The first step to proper long-term grain storage is ensuring that any agricultural storage facilities you plan on using are prepared for the products coming in. This includes rigorous cleaning, as well as emptying out any excess grain from last season and mitigating any areas where insects may have been. The condition of the grain that you harvest has a significant impact on how well it will hold up throughout storage. “Grain that will be stored for an extended time needs to be good-quality grain,” says NDSU Extension Service agricultural engineer Ken Hellevang. Simply put, if the grain you store isn’t of good quality, it’s not going to last through storage. The importance of grain handling equipment should never be forgotten. This equipment can help aerate the grain as it goes into storage, providing more effective and safe storage. A grain spreader is the most effective piece of grain handling equipment for the job. Few things are more important in grain storage than controlling the temperature at which the grain is stored. Temperature cables in grain bins will allow for more accurate tracking, as well as alert you to any drastic changes. Agricultural storage buildings have a tough job, but it’s up to you as an agricultural professional to ensure that the conditions under which your grain is stored are up to the challnege. After all, grains like corn and wheat are major staples and should be treated as such. These four tips should help ensure the best long-term storage, no matter what grain you’re aiming to store.